to me throughout my life. with me through the past several challenging years. the many opportunities to learn and grow professionally. with people whom I have come to respect make my work fulfilling and meaningful. competition as global and are moving to implement an integrated strategy worldwide. products offshore to low-cost labor regions around the world, specifically in Asia. our industry they did not fully realize the impact that it would have on the company. production of our products in our own North American manufacturing facilities. quality that would be necessary to effectively compete against us in the U.S. market. They couldn�t have been more wrong. The challenges that face the Hoover Company, Maytag, and many other U.S.
sourcing strategies to outsource the production of products outside of the Unites States. 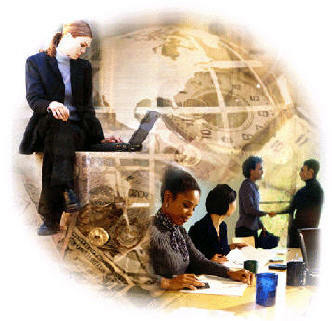 successful in international procurement and outsourcing. their chances of success as well as minimize their exposure to risks. � What are the benefits and risks of international / global outsourcing? be aware of when dealing with foreign based manufacturers? sourcing program and relationship with foreign suppliers? labor countries relating to international purchasing and product outsourcing? U.S. jobs attributable to international outsourcing? stuff they buy comes from. in that group don�t know where the products that they buy come from or care. American manufacturers once had.� (Michael Arndt, Not Made in the U.S.A.? Who Cares? cost margins and increase competitive positioning. the costs of doing business with low-cost countries even more. ten percent of sales in stores. The move to low-cost country sourcing is not an easy transition for many companies. presents with the risks it can create in order to reap true benefits. and created a cycle where high fixed costs have turned into sunk costs. configuring is really just part of a relatively painless process called outsourcing. Obviously, tackling outsourcing from start to finish can be a cumbersome task. are some of the key decision-making steps you'll confront. that is where you should focus. that can be better spent on innovation and growth. � Keep pace with your competitors. � Don't just go with your gut. current customer in both the small and large categories, and two former customers. their ability to serve your needs through their resources. are passed on to customers. worry about meeting production deadlines when a shipment from a supplier is delayed. services save money and pass along savings to their own customers. various components segmented as a menu on the proposal. What about geopolitical factors and duties/tariffs? time, it's best to look elsewhere. of these things can be determined without a trip to the country to view it first-hand. cheaper because if the plywood is cut up in Brazil, it has no duty coming into Mexico. should be able to provide counsel. With the evolving market, global trade allows the lowest possible resulting cost.